Mt. Baker rises large above the clouds and fogs at the far end of Table Mountain Ridge. 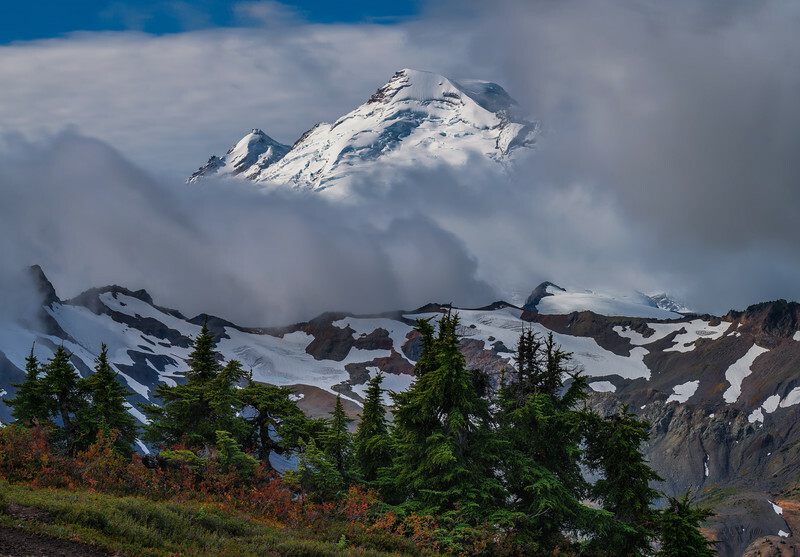 Table Mountain is accessed from Artist's Point and involves a couple mile hike along a ridge, often going from cairn to cairn along rock fields that are only free from snow a couple months out of the year. Mt. Baker on this day only revealed itself for a couple of minutes and then sank once again beneath the clouds and fog.